When 22-year-old Delilah Cassidy was en route from London to her Arizona hometown, she was suddenly faced with an unexpected hurdle. As she attempted to board her connecting flight in Los Angeles, an American Airlines agent told her she’d have to pay $50 to carry on her bag. With no cash on her person and lacking a functioning credit card, Cassidy was completely stuck. She pleaded with the airline staff, but their reply was a clear no. “This man walks up and says, “How much is it?” They tell him $50 and he says “I got it,” she recalled on Twitter. Cassidy attempted to decline the man’s generous offer, but he insisted. “I’m astonished and tell him it’s fine not to worry and he hands the lady his card as the American Airlines employees stand in silence shocked by this man’s generosity. They swipe the card and he tells me to have a great flight and hop on board,” she continued. Before she knew it, her fortunes have shifted, and Cassidy was boarding her plane back home. “We all were so shocked. I just started crying. The lady said, ‘Wow, that was amazing.’ I said, ‘That man was an angel. That was unbelievable,’ ” Cassidy told PEOPLE. 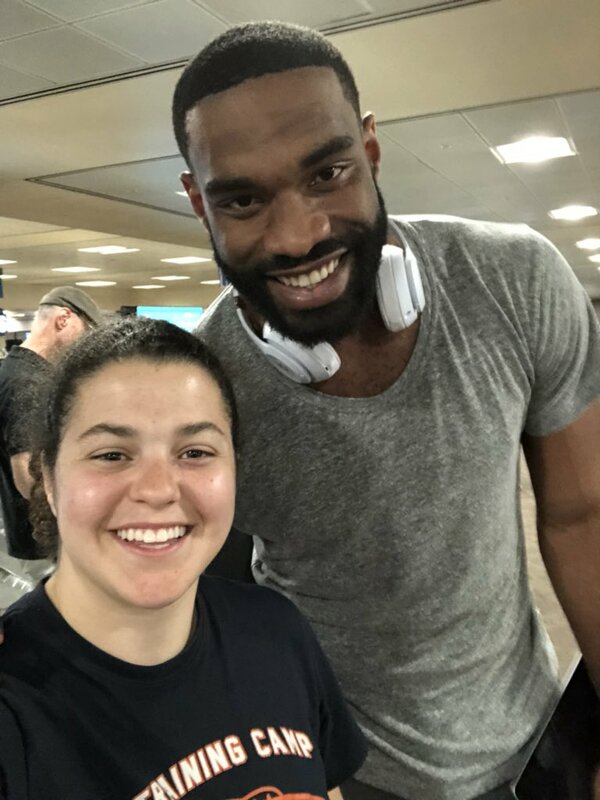 As it turned out, that wonderful stranger was none other than Arizona Cardinals tight end Jermaine Gresham. 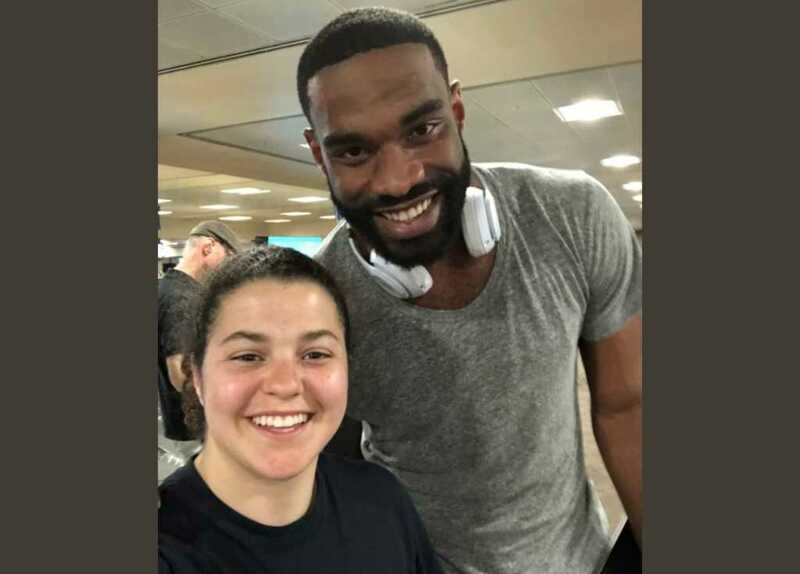 “Update: It was Jermaine Gresham,” Cassidy tweeted later on, along with a picture of the pair, presumably after they landed. Cassidy was stunned by Gresham’s humility and willingness to help out someone in need. “He said, ‘If I was in that situation and I was gonna miss my flight … I would hope someone would do the same thing for me,'” she recalled.